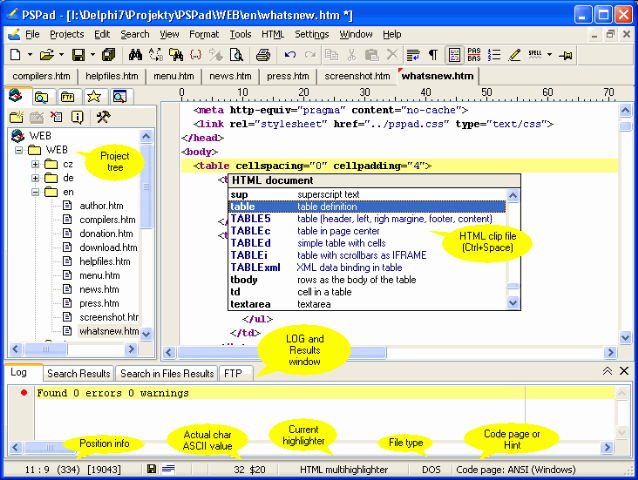 While there are a number of paid solutions out there for editing your code, not everyone has hundreds of dollars in their budget to get them on their desktop. 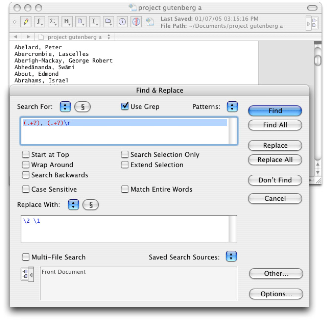 Luckily, there are numerous free solutions for just about every style of editing that you can think of. We focused this list on cross-platform, Mac OS X-only and Windows-only downloadable solutions, but we did include one online option. We hope in the future there will be more of these out there so you can truly collaborate with other members of your team. Take a look through the list of 18 editors, and you are bound to find one that is perfect for your needs! 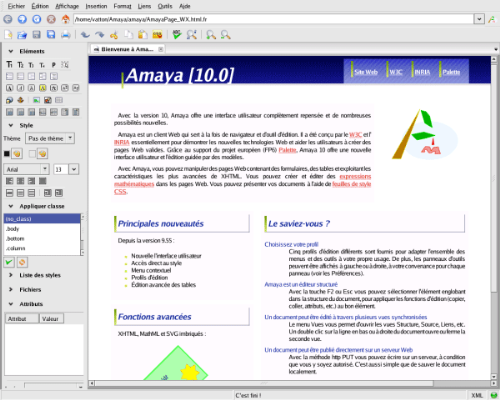 Amaya: A mixture of WYSIWYG Web editing tool and a browser that was originally developed by Institut National de Recherche en Informatique et en Automatique (INRIA) and later acquired by the World Wide Web Consortium (W3C). 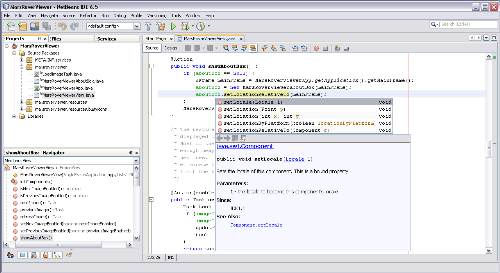 The project is open source and since it is a test bed, it features support for protocols and languages not yet supported by the major browsers, such as RDF. 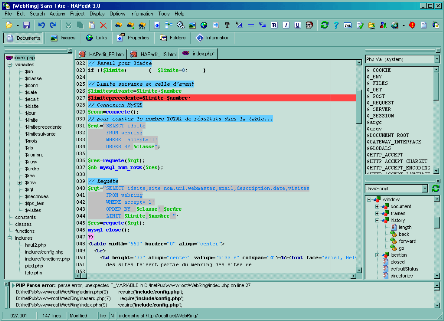 The program is available for Unix, Linux, Windows, Mac OS X, Amiga OS and more. 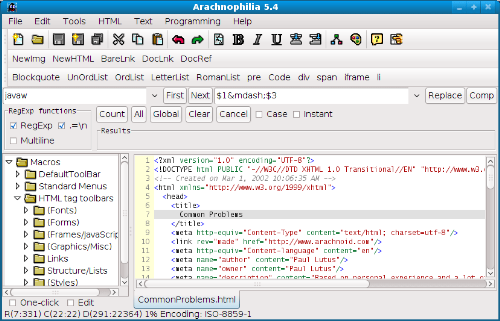 Arachnophilia: A Java-based editor that features the ability to edit multiple documents, a built-in FTP client so you can upload changes without leaving the interface, user-defined templates, user-customizable toolbars and several other features. 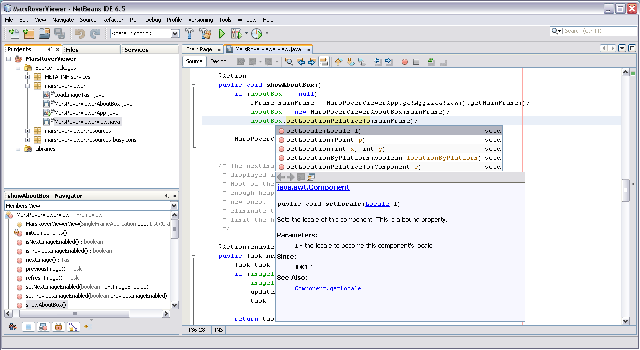 Eclipse: This editor was written with Java as the original primary language it works with, but thanks to numerous plugins, you can also edit in languages such as Perl, PHP, Python and more. 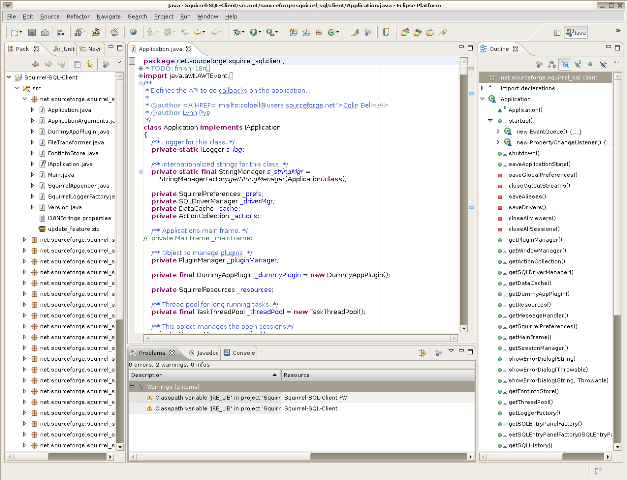 Due to the open source nature, plugins are welcome for any language a developer feels like building one for. 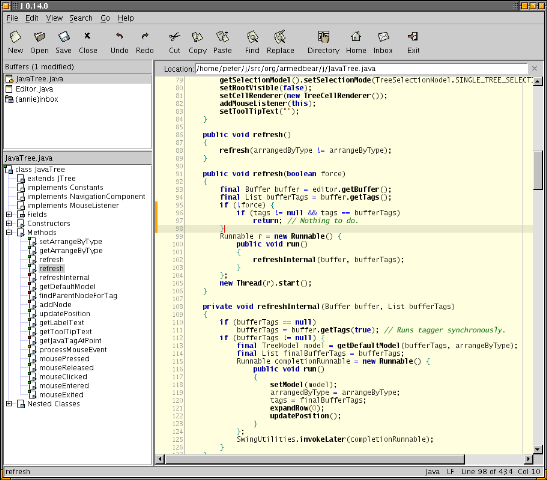 Due to Eclipse being nothing more than a run-time kernel, the program runs a bit more like a platform for plugins than anything else. 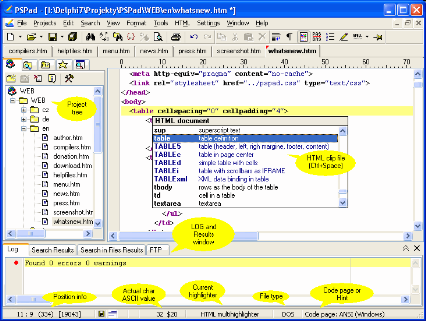 This allows the overall program to be extremely lightweight, and you can install only the bits and pieces you need without weighing yourself down with excessive features. 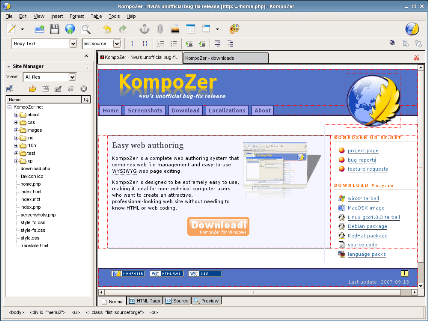 The program runs on Linux, Mac OS X and Windows. 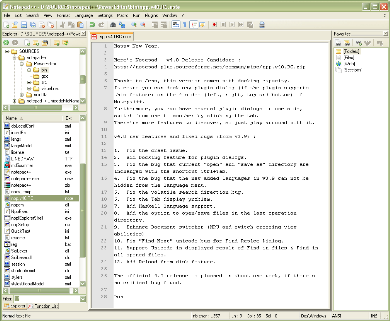 J: J is a text editor written in Java that will work on any system with Java 1.4 installed, but 1.5 is recommended. 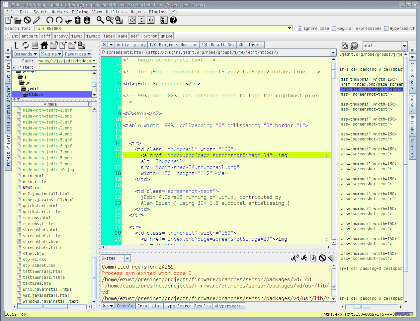 This editor was updated in March 2009, although before that it hadn’t been touched since September 2004. 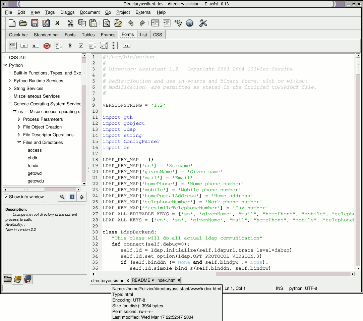 The program runs on Linux, Mac OS X, OS/2, Unix, VMS, and Windows. 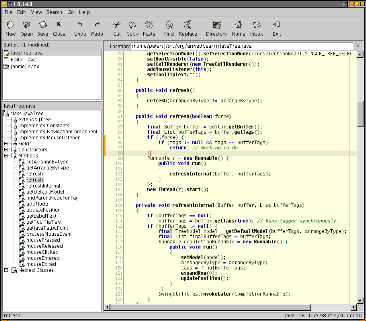 jEdit: In development since 1998, this Java-based editor has not had a major release since 2004, but has had numerous preview releases. 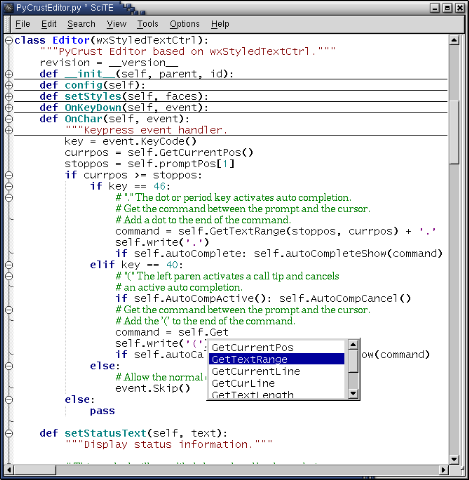 While it is not the most current editor out there, the system does feature indenting and syntax highlighting for over 130 different programming languages. 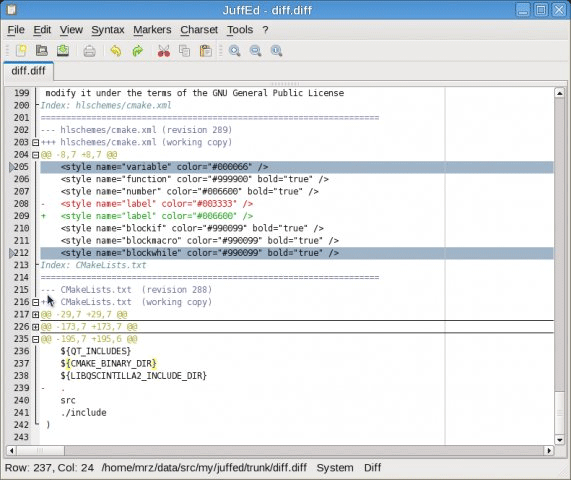 The program runs on Linux, Mac OS X, OS/2, Unix, VMS, and Windows. 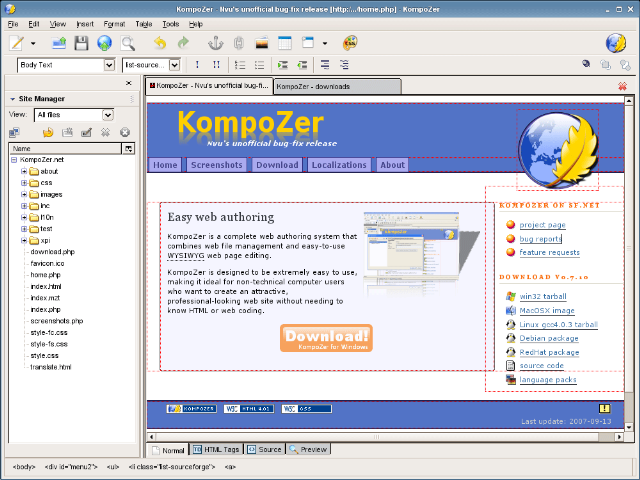 KompoZer: KompoZer was discontinued by the original creator a while back, but it is now being developed by the community that had built up around it. 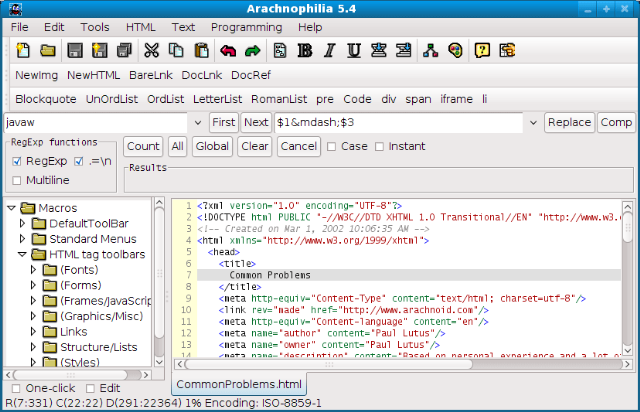 The program complies with W3C standards and generates new pages in HTML 4.01 by default. 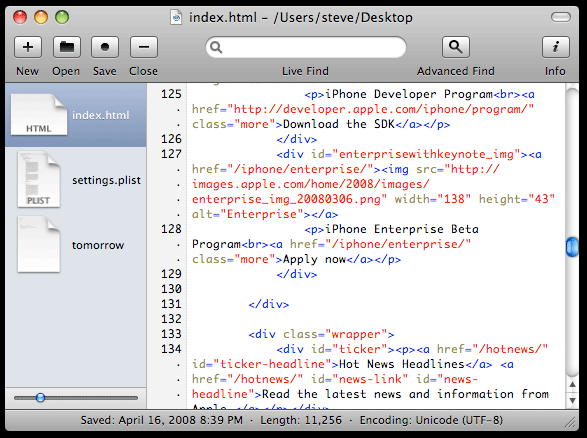 This WYSIWYG editor has a built-in HTML validator to check your work on the fly without having to leave the program. 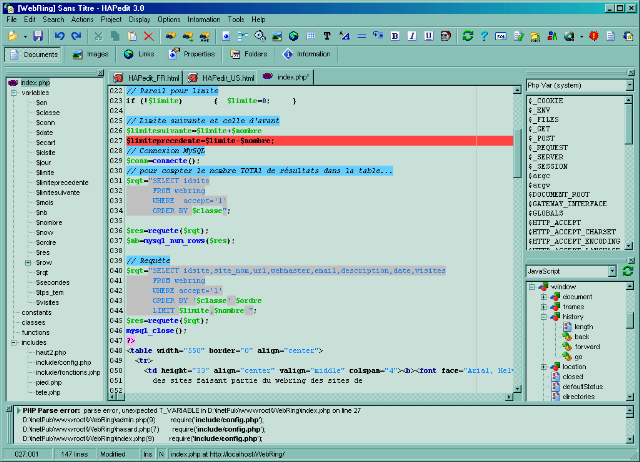 The program is compatible with Linux, Mac OS X and Windows. 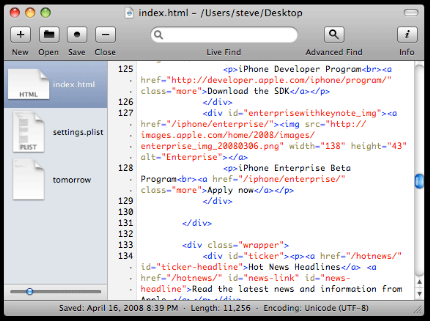 RText: This text editor features syntax highlighting for over 20 languages, can support multiple fonts at the same time, code templates, edit multiple documents at once, and numerous other features. 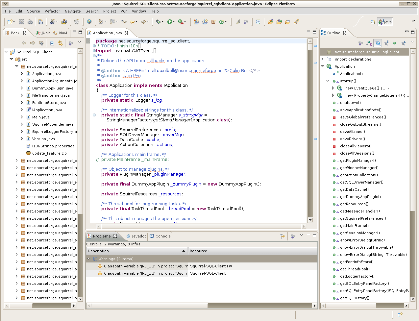 As RText is written in Java, it can run on Linux, Mac OS X, OS/2, Unix, VMS, and Windows. 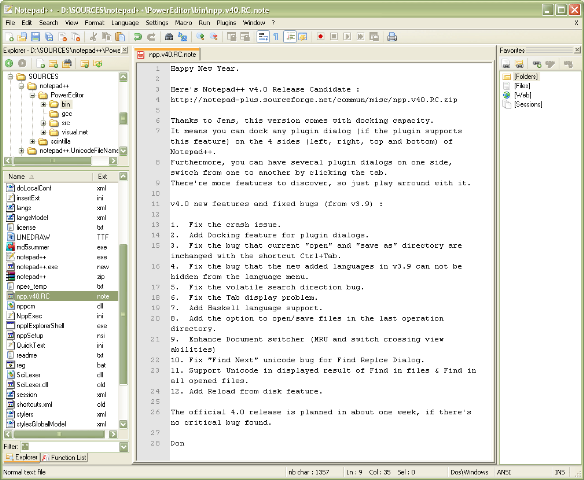 SciTE: SciTE, short for SCIntilla based Text Editor, is a lightweight text editor that allows customization to suit your needs by simply editing text files. 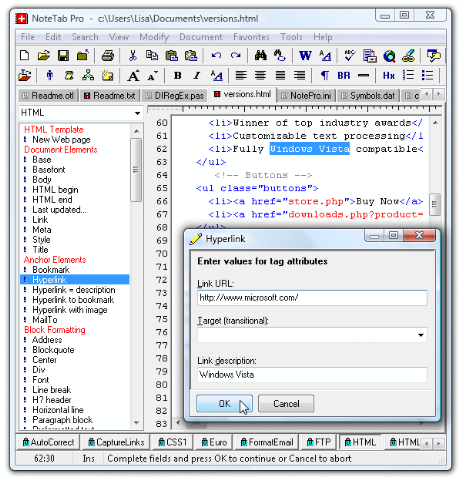 It features support for numerous languages, running scripts and even has a small EXE file so that you can run the program from a flash drive if your work calls for you to be at a computer other than your own. 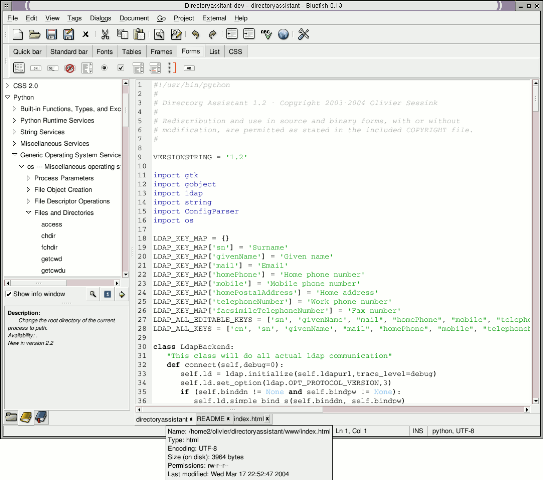 SciTE is compatible with Linux and Windows. 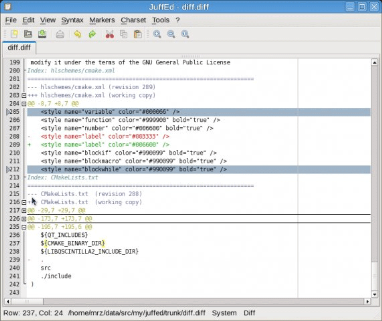 Smultron: Smultron offers syntax highlighting for languages such as C, C++, CSS, D, HTML, Java, LISP, Python, Ruby, and XML as well as tabbed creation, column viewing, customizing shortcuts and a lot more. 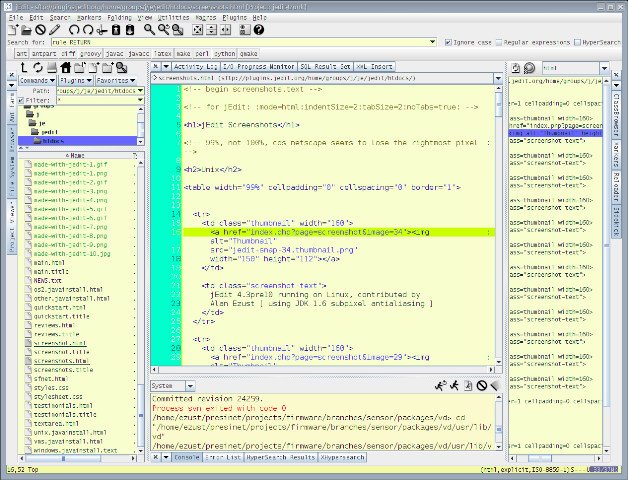 TextWrangler: TextWrangler features syntax highlighting for multiple languages, file comparison, multiple undos and more. The program also allows for running scripts such as AppleScript, Python, Perl and Shell. 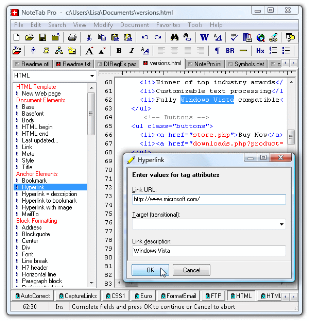 Notepad++: Besides supporting syntax highlighting for 48 different languages, the program is also designed to be more environmentally friendly than most editors. 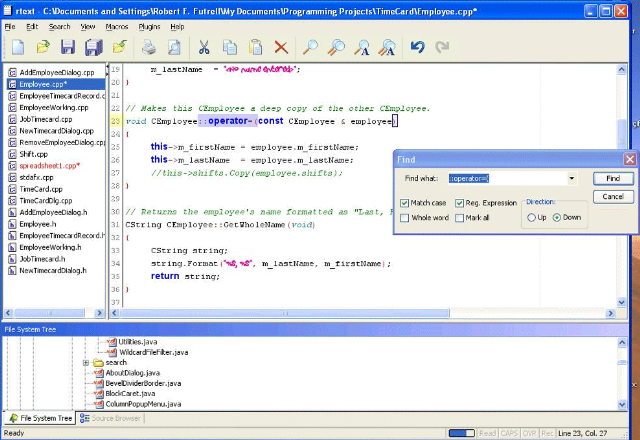 The program also supports split screen for viewing/cloning support, FTP browsing, auto-completion, WYSIWYG viewing and numerous other features. NoteTab: NoteTab does offer a free light version, but it is more like a taste of what you can find in the paid versions. It is usable, and it doesn’t nag you about purchasing, but as you get familiar with it you will probably end up upgrading to Standard or Pro versions anyway. What is your favorite free program for editing your code?